So today I’m doing my first ever first impression review and it’s going to be on the Maybelline Dream Wonder Fluid-Touch Foundation (what a mouth full!). I love mostly all of Maybelline’s products that I’ve tried so I was eager to give this a go. The fluid touch formula with skin fusion pigments is lightweight and blends with your skin, yet so concentrated it coverscompletely. 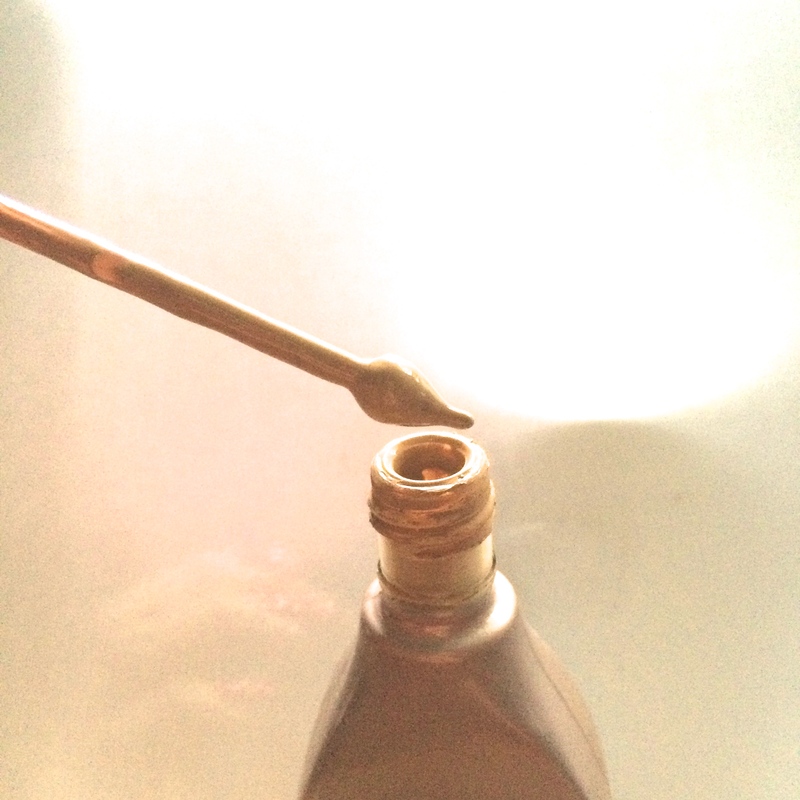 The exclusive dropper precisely delivers each precious drop for a finish that’s impeccable yet undetectable. 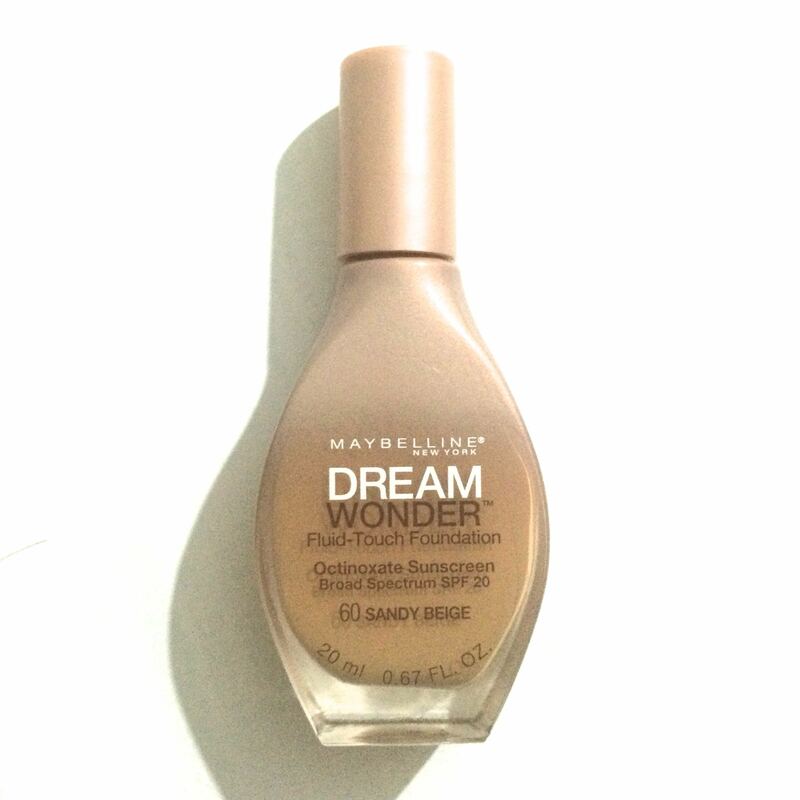 Maybelline Dream Wonder Fluid-Touch Foundation in “Sand Beige”. Packaging: I do like the aesthetic appearance of the product, it looks sleek and sophisticated. However it is made of glass so it is probably not the best for travelling. It has a secure screw on lid which prevents any leakages. This foundation is different as it comes with an applicator similar to high end foundations (seen in the picture above). When I first applied it, it was easy to blend and dried to a powdery finish almost immediately, leaving my skin feeling like velvet. At first I only got a light coverage, but was able to build it to a medium coverage without it looking cakey. Throughout the day it felt like I had no foundation on and stayed put for most of the day (7 hours) – it only wore off around my cheeks and a little around the nose. Although the applicator was an innovative idea, I found it super impracticable. You have to dip it in and then wipe if off onto your hand or your face which can cause contamination if not careful or alternatively you can pour it out of the bottle which is just messy and defeats the purpose of the applicator. The consistency of this foundation is SUPER runny and messy if not handled with care while applying. Another con is that the recommended application is with your fingers, which I found messy and unhygienic (I did try use a brush but found it more difficult to blend). It is okay for oily skin but does get oily throughout the day, although you can just powder and blot to fix this – it wasn’t too bad. Yes I’d definitely recommend this foundation if you’re after an everyday, lightweight foundation – it really does feel like you’ve got nothing on and when you touch your face it feels velvety! I’d just be careful while applying this foundation by making sure your hands are clean. Do you think this product would work for skin that’s on the drier side? You’ve been nominated for the sisterhood of the world blogger TAG! Check out the TAG section on my blog in the menu bar to see the rules and questions.